Description: Troops are forming now. 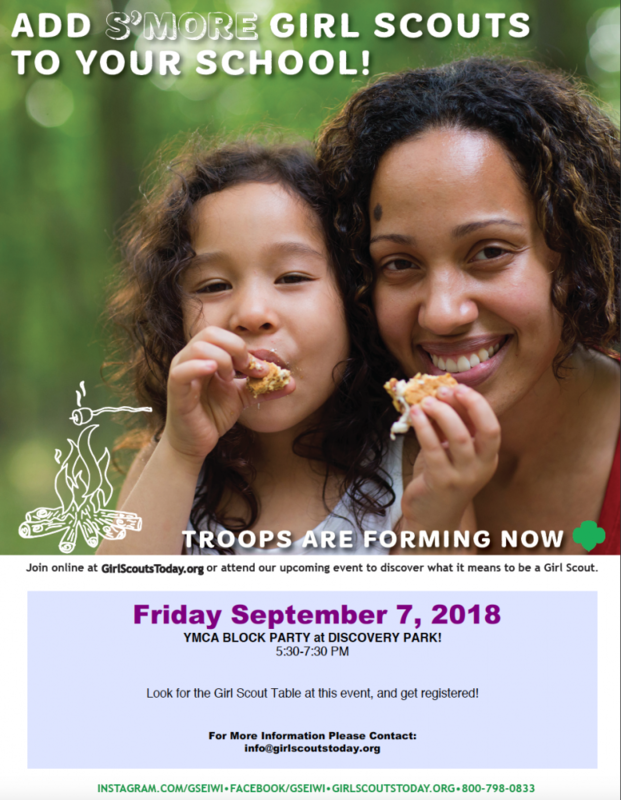 Attend the upcoming event to discover what it means to be a Girl Scout. Friday, September 7, 2018, YMCA Block Party at Discovery Park, 5:30-7:30 PM.